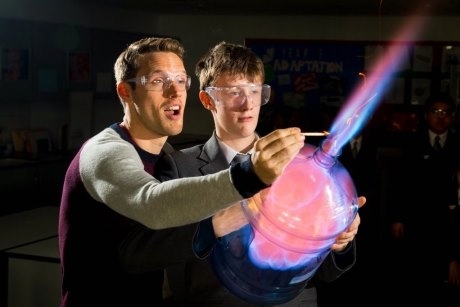 Next year’s British Science Week will take place from 10th to 19th March; here’s how teachers can get their students involved. British Science Week is a ten-day programme celebrating Science, Technology, Engineering and Maths. A number of events and activities will take place throughout the festival at various venues across the UK. This free tour explores how the subjects of Science and Art are intertwined at the V&A, despite its reputation as an art and design museum. No booking is required, and the tour lasts an hour. The Wyche Innovation Centre in Malvern will host a series of hands-on Raspberry Pi computer workshops throughout the day for different groups. Students will be introduced to the devices, the hardware set-up and examples of coding. Booking is required and workshops are free. This event will provide an opportunity for children to explore, investigate and develop analytical thinking and problem solving skills. Participants will learn how things work and how technology is used to improve the quality of our lives. They’ll also get to talk to people that are already in the field like scientists, engineers and doctors. Free student-friendly tours of the recently refurbished University of Glasgow Observatory will include a planetarium show, an Astronomy workshop/Ask the Expert session, and a demonstration of a 16-inch Meade telescope. A star gazing session will also be included (weather permitting). For further information about British Science Week and ways to get involved, teachers should visit www.britishscienceweek.org.